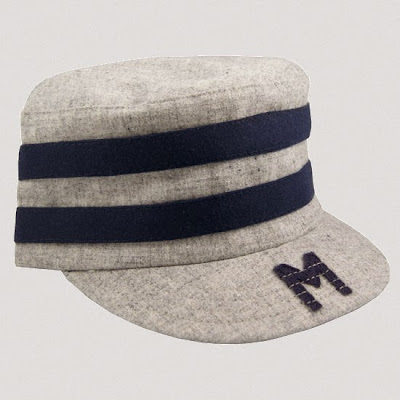 A wonderful new surprise from our friends at Ebbets Field Flannels - a reproduction of the Brewers' 1905 cap. 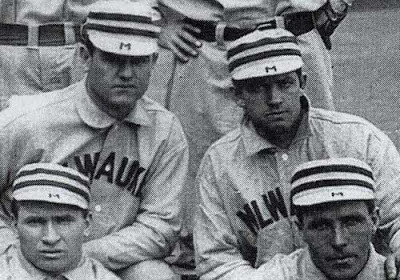 This hat is indeed a rarity: The only time we have seen the lettering go on the visor instead of the crown. Are you listening, current MLB teams? A new trend awaits. Outstanding. I've already ordered mine. 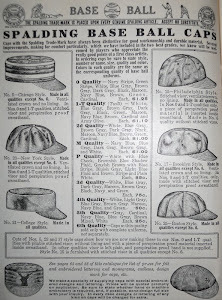 The old-fashioned ringed pillbox cap was known at the time as "Chicago style". Ebbets Field is right - the little "M" on the bill is very unique. 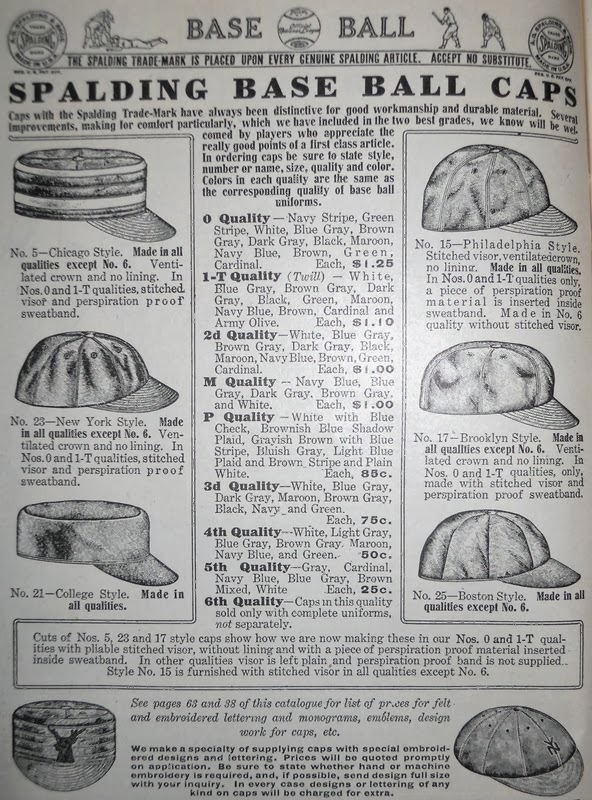 Keep in mind that this was long before cap logos themselves were commonplace, much less had a proscribed location on the cap. Center-front of the crown seems logical to us, but it took some experimentation before that was really established. 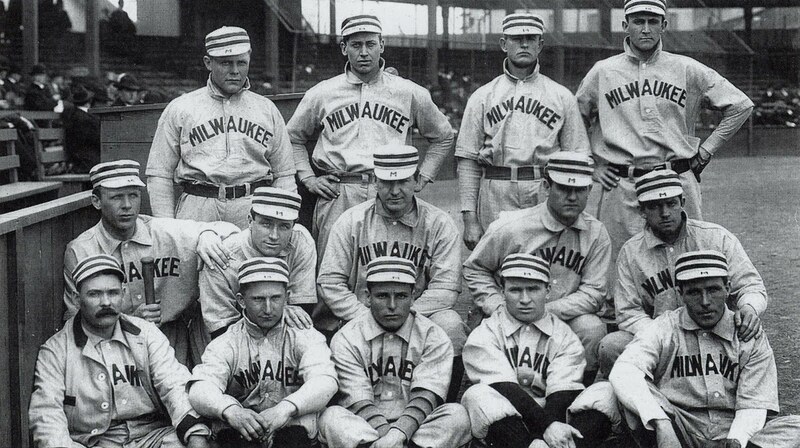 This was a sadly short-lived style for the Brewers, who soon returned to the jockey-style or "New York Style" caps that evolved into today's modern lids. Still, this is an opportunity for you to celebrate that style. For a limited time, this cap is available for the introductory price of $32.00 - order yours today!